"Latest Programs, Policies, Advancements & Opportunities"
Dan Utech is the Deputy Assistant to the President for Energy and Climate Change. Prior to joining the White House, Dan served as a Senior Advisor to Energy Secretary Steven Chu. He joined the Administration after 10 years in the Senate, where he worked on a wide range of energy and environmental policy issues. Kevin Kampschroer has worked for GSA for more than 39 years and is a graduate of Yale University. He manages the government’s implementation of a comprehensive improvement in the training and certification of facility managers and personnel across the entire Federal government. Mr. Kampschroer was the Project Manager for the Ronald Reagan Building & International Trade Center, and he has lectured at various universities such as MIT, Harvard, Georgia Tech, and Yale. His most recent publication as a contributing author is the first medical study showing the link between building characteristics on office worker stress and heart function-which showed the beneficial results of good lighting, natural light and IEQ. He has created the framework for which GSA responds to the challenges of greenhouse gas emissions reductions and of the American Recovery and Reinvestment Act’s mandate to move GSA’s Federal building inventory toward high-performance green buildings. Mr. Wells is chiefly responsible for protecting the environment and conserving the natural resources of the District of Columbia. His team is comprised of approximately 300 environmental professionals collectively working to improve the quality of life for residents and the natural inhabitants of the Nation’s Capital. Mr. Wells career in public service spans 32 years. He earned his law degree from the Columbus School of Law at Catholic University and a master’s degree in social work from the University of Minnesota. DDOE is comprised of several agencies; The Energy Administration (EA) is a single resource for energy efficiency and renewable energy programs, products and services for residential, commercial, institutional, and government sectors in the District of Columbia. The EA develops energy-related policies and plans, and coordinates and facilitates the overall effort of the District Government to achieve reliable, clean and affordable energy. The Environmental Services Administration (ESA) protects public health and the environment in areas related to air quality, hazardous waste, lead, pesticides, and underground storage of petroleum products. The Natural Resources Administration’s (NRA) core function is to conserve, protect, and improve the soil, water, and living resources of the District of Columbia, and to protect its aquatic resources from pollution and degradation. and engagement to solve societal challenges. Science and Fellow of the Entomological Society of America. and outreach, including the Kansas State University Insect Zoo. 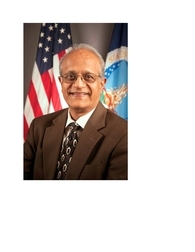 Dr. Sonny Ramaswamy was appointed by President Barack Obama to serve as director of the National Institute of Food and Agriculture (NIFA), United States Department of Agriculture. NIFA provides funding to catalyze transformative discoveries, education, and engagement to solve societal challenges. Prior to starting at NIFA on May 7, 2012, Dr. Ramaswamy held a number of academic positions, including: dean of Oregon State’s College of Agricultural Sciences; director of Purdue’s Agricultural Research Programs; university distinguished professor and head of Kansas State’s Entomology Department; and professor of entomology at Mississippi State. Sonny has been a successful scientist, educator, and administrator. He has received research grants from many federal agencies, including NIFA, NSF, NIH, EPA, and USAID, as well as from state agencies, commodity groups, and industry for his research in the area of integrative reproductive biology of insects. He has published over 150 journal articles, book chapters, and a book. He is an award-winning teacher, and has mentored a number of high school, undergraduate, graduate, and post-doctoral students. He has received a number of awards and honors, including being named Fellow of the American Association for the Advancement of Science and Fellow of the Entomological Society of America. Dr. Sabine O'Hara is Dean and Director of Land Grant Programs for the College of Agriculture, Urban Sustainability and Environmental Sciences (CAUSES) of the University of the District of Columbia (UDC). As Dean of CAUSES, she is responsible for academic, research and community outreach programs in the tradition of landgrant universities, and is leading UDC’s efforts to building a cutting edge model for urban agriculture that improves the quality of life and economic opportunity for urban populations. 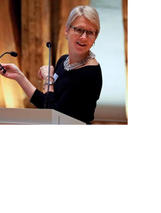 Dr. O’Hara is a respected author, researcher annd higher education executive, and is well known for her expertise in sustainable economic development, global education and executive leadership. She has experience in virtually every aspect of university administration including curriculum development, strategic planning, program accreditation, international partnerships and research collaborations. Paul R. Puckorius, has provided energy, water, and green water consulting to all major Industrial, commercial and institutional facilities all over the world since 1976. Over 50 years experience with water systems, including cooling water, boiler water, waste and process water. Principal expertise is in cooling water corrosion, scale and microbiological program development, problem solving, treatment selection, and system startup. Expertise in water use, reuse, root cause analysis, and water impact on water using equipment and water treatment requirements for utility power plants both fossil and nuclear, refineries, chemical plants, paper mills, tire plants, mining and ore refining, as well as HVAC air conditioning systems. Considerable practical knowledge and experience in identifying the potential for Legionnaires Disease and its control. Extensive knowledge of boiler water treatment programs as well as water pretreatment, potable water protection, use of reuse water, and water conservation. Michael Jones-Bey is Director of the Con Edison Supplier Diversity Program and is responsible for developing and implementing activities that increase contract opportunities for qualified Minority and Women-owned business enterprises (MWBEs) in ways that strategically support the company’s mission and promote economic growth within the communities it serves. the financial services industry surpassed $1 billion. Michael also spearheaded the State’s disparity study and worked on historic legislation to create one of the strongest MWBE laws in the nation. This legislation has made it possible for New York State agencies and authorities to more than double MWBE expenditures. economic growth within the communities it serves. Ronald Uba has earned a BA in Physical Chemistry/ Psychology at the University of Colorado in Boulder and worked at U.S. Geological Survey Western Water Quality Radiation and Trace Mineral Toxin Research Labs. After a student internship at Columbine High School in Littleton, Colorado, Ron completed a Clean Water Irrigation Study at the U.S. DoC International Trade Administration. PetroIMAGE Corp had Ron encrypting Remote Satellite Images data for petroleum geo mapping for Mineral Exploration Research . Ron landed roles as an Assistant Principal and a AP Math, Science, and Computer Education Specialist for young TV Screen Actors. With an Instructional Technology Computer Statistics MS from the University of Southern California LA, Ron’s 23 year career has evolved from his devotion of program development in community advocacy to cultivating business development technology training at the United Nations International School, KUMON USA & North America, PBS, Prudential, U.S. Census Bureau Census 2000 NY/NJ, and the Minority Business Development Agency/ USDOC to prepare Federal Government Contracting Opportunities for larger scale M/WBE’s, NABE’s, and SDVOB’s. Ron provides strategic guidance to entrepreneurs on the Advisory Board of the Diversity Alliance for Science Pharmaceuticals & BioSciences Group and Miracles Corners of the World where they build villages and infrastructure for communities in Africa. Recipient of the Government Advocacy Award in 2006 for NY/NJ Minority Supplier Development Council’s and the 2001 State of New Jersey Governor’s Community Leadership Award, Ron continues to coordinate Matchmaker events for entrepreneurs, present and moderate public/ private partnership panels. With more than 20 years in the industry; Virginia Gibson President of Reliant Water Management, is one of only a handful of woman-owned companies in the entire Nation who are currently approved as federal contractors, in the water treatment, water reclamation & green energy category. Reliant Water Management is located in California and provides services in corrosion reduction, MIC testing & mitigation, control & remediation of waterborne pathogens, energy efficiency and sustainability programs, tower treatment, hot water boiler and steam treatment, non-chemical service providers, process water, filtration & softening to the Mining Industry, Ship / Marine & Water Pollution Control Plants working with local, state and federal agencies, on a national and international scale. Gibson is an expert in the industry, partnering with the U.S. EPA, U. S. NAVY, BAE, other agencies & organizations while overseeing the implementation of environmentally responsible products. She currently serves on The National Board of (AFE) The Association for Facilities Engineering and has served on the local non-profit boards of ASHRAE (American Society of Heating Refrigeration & Air-conditioning), RETA (Refrigerating Engineers & Technicians Assoc. ), International Green Industry Hall of Fame, USGBC (United States Green Building Council). Wayne is a Certified Plant Engineer (CPE) and Department of Public Safety multi-license holder within Massachusetts, and currently moderates the AFE National Corporate Relations Council, and is a CPE and CPMM course instructor for AFE. As a member of the United Inventors Association, Wayne is a patented electronic design engineer and published author with over 30 years of all-around building operations, energy and facilities engineering experience. Professor Robert J. Gallagher serves as the Executive Chairman of the World Green Energy Symposium (WGES) Council. As a respected leader and educator, Professor Gallagher works in tandem with leading experts from education, government, industry and environment in the development of master lectures and speakers for the Symposium. Professor Gallagher is a multi-faceted visionary, educator and senior advisor who has dedicated his entire career to education and public service. His background as an expert in health, economic development and sustainable programs has led to his engagement in working with top leaders and officials. He oversees the world energy sustainable programs which have earned a global footprint attracting top echelon of leaders in the industry while serving as a World Stage and platform of education and information exchange and as a vantage point for economic development and a healthier planet. Professor Gallagher concurrently serves as a University Professor and Senior Advisor. He earned his Post Graduate Degrees from Adelphi University and his Bachelor's degree from Manhattan College. He has received numerous awards and recognitions during his longstanding career and holds several certifications. Landon Van Dyke currently serves as the executive coordinator of sustainability at the U.S. Department of State. In this capacity, he oversees Department efforts to operate in an efficient and environmentally sustainable manner. Working both with U.S. and foreign missions, Mr. Van Dyke collaborates with the diplomatic community to promote best practices and to minimize its environmental footprint. Previously, he served at the White House Council on Environmental Quality as the Associate Director of International Affairs and Climate Change, where he was responsible for environmental and energy policy development and programs as they related to U.S. international relations. In addition, he has advised on several multilateral efforts, including the G20, APEC, S&ED and the WTO. Mr. Van Dyke holds several graduate degrees including an MA in Asian Studies and an MBA. Dr. Mackay is Corporate Vice President Ethics and Sustainability and an elected Officer of Lockheed Martin Corporation. He reports directly to the Chief Executive Officer and to the Ethics & Sustainability Committee of the Board of Directors. He oversees Lockheed Martin’s award-winning ethics program; the corporation’s compliance training/ procurement integrity/anti-corruption efforts; and as the Chief Sustainability Officer is responsible for ensuring responsible growth and global corporate citizenship. He is an independent director of Cognizant Technology Solutions Corporation, a $25B+ leading global provider of business and technology services. His previous assignments at Lockheed Martin have included: Vice President, Corporate Domestic Business Development (2007-2011) leading strategic customer relationship development; and management of Lockheed Martin’s US field offices; President of ICGS, LLC (2005-2007) – a $1billion joint venture of Lockheed Martin and Northrop Grumman with simultaneous service as Lockheed Martin’s Vice President/General Manager of Coast Guard Systems (CGS). CGS provided program management, systems integration, aircraft systems, C4ISR and integrated logistics for the U.S. Coast Guard’s modernization. Michael F. Wells is a Partner and Vice President in IBM’s Global Business Services (GBS) Organization. Specifically, he is responsible for IBM’s Smarter Planet/Cities initiative. Michael is the IBM GBS World-Wide Leader for Smarter Buildings and Water. Additionally, he is responsible for Smarter Cities for North America (Public and Commercial Industries) and, lastly, leads the cross-brand Smarter Cities Federal Team. Michael and his team ensure that IBM’s Services, Solutions and Strategies are aligned with customers in both the Public and Commercial Sectors. Thomas Kakovitch, Professor of Environmental Science, Principal Kakovitch Industries. Mr. Kakovitch is an accomplished professor, business leader, inventor and author in the field of environmental science and applied physics. He holds 26 national and international patents in areas as diverse as the energy efficiency of power plants, aerating water for use in fish production, improving the water quality of open water bodies, and improving the efficiency of shipping. This theoretical work includes the discoverer of an invariant scalar force field that he termed ‘the fifth force’ and that is currently being studied, and the invention of a new statistical model for four-quadrant analysis of economic production using the random motion of photons. In addition, he has developed more than ten university courses ranging from applied mathematics, to applied physics, and environmental science and technology. He conducted Post Master and Doctoral studies in Applied Mathematics, at American University, received an M.S. degree in Environmental Engineering/Civil Engineering from the University of Maryland, and a B.S. degree in Aerospace Engineering also from the University of Maryland. Kakovitch is fluent in English, Russian, French, Iranian (Farsi), and Afghan Assyrian (Aramaic) In addition to his service as a faculty member at the University of the District of Columbia, he founded Kakovitch Industries LLC, Flo-Vex LLC, and Millennium Technologies Inc., and is the Director of Applied Sciences and Technology of the McLean Project in McLean, Virginia”. Harry Wingo is the President & CEO of the DC Chamber of Commerce, a Veteran U.S. Navy SEAL Officer. He is a graduate of the U.S. Naval Academy and Yale Law School. Prior to the DC Chamber, he was Managing Partner of West River Solutions, a DC-based technology consulting firm focused on cybersecurity and also spent five years in Google's DC office, where he was Senior Policy Counsel and managed a program to hire military veterans. Mr. Wingo has served as Counsel to the U.S. Senate Commerce Committee, Special Counsel to the General Counsel of the Federal Communications Commission, held the position of Communications Law Associate at the firm of Skadden Arps, and was Judicial Clerk to the Hon. James Robertson, U.S. District Court for the District of Columbia. Mr. Wingo was born in Washington, DC, where he currently lives with his wife, Magistrate Judge Elizabeth Wingo and three daughters. The Advanced Manufacturing Office (AMO) partners with industry, small business, universities, and other stakeholders to identify and invest in emerging technologies with the potential to create high-quality U.S. manufacturing jobs, enhance global competitiveness, and reduce energy use by encouraging a culture of continuous improvement in corporate energy management. EERE'S INVESTMENTS IN ADVANCED MANUFACTURING - R&D that has high impact, uses project diversity to spread risk, targets nationally important innovation at critical decision points, and contributes to quantifiable energy savings. As CEO/President of Extreme Energy Solutions, he worked with the New York City Taxi and Limo Commission in approving the SMART Emissions Reducer for use on all vehicles under their regulation. He developed a manufacturing plan, where the Company., would manufacture all of its products in the USA. Mr. Burlum currently is Vice President of SMART Air Fuel Saver LLC. (FL.). Mr. Burlum serves as Board Secretary for the non-profit Spirit of the Arts Foundation (501c3)(NJ), while also serving as a Director on Board for ESLC Inc. (NJ). He graduated from Berkeley College with an Associates Degree in Business Management & Entrepreneurship in 1998. He is an active participant in the Employer Legislative Committee, part of the Sussex County Chamber of Commerce. Ms. Kristine Kingery serves as the Director, Army Sustainability Policy, Office of the Deputy Assistant Secretary of the Army for Energy and Sustainability, with overall responsibility for Army-wide sustainability initiatives. She provides program oversight, strategic planning, policy recommendations, and establishes goals, objectives, and metrics for sustainability initiatives. She is responsible for the vertical and horizontal coordination of programs from installations to Headquarters, Department of the Army with full authority for management decisions related to program initiatives. She serves as subject matter expert on the Army's Net Zero Installations Initiative to develop the strategy, identify installations, and monitor progress towards achieving Net Zero Energy, Net Zero Water, and Net Zero Waste. Before joining the Army secretariat, Ms. Kingery served as the Chief, Cleanup Branch, Assistant Chief of Staff for Installation Management (ACSIM). She was responsible for oversight and leadership of the Army’s environmental cleanup. Ms. Kingery completed her undergraduate studies at Texas A&M University as a Distinguished Military Graduate with a Bachelor of Science Degree in Chemistry and holds a Master of Applied Science in Environmental Engineering from the University of Delaware, and Master of Science Degree in National Resource Strategy from the National Defense University, Industrial College of the Armed Forces. She is married to Colonel Michael Doherty, U.S. Army retired. Ian has played a significant role in many high profile projects throughout the United States. Highlights among Ian’s background are major economic development and infrastructure development and finance projects, including public/private joint ventures, in conjunction with airports and mass transit facilities throughout the U.S. and extensive work regarding public private partnerships involving privatization of facilities on military bases. These projects often involved extensive coordination with federal, state and local governmental authorities including having the local laws changed to accommodate the projects. Several of these projects also involved the development of energy generation facilities, including green energy. Kaila Santiago is the Chief Operation Officer of Global Energy Efficiency, an energy services company delivery a comprehensive turnkey suite of energy efficiency products and services. Kaila has contributed to the company’s success including recognition by the New York State Energy Research and Development Authority (NYSERDA) and Consolidated Edison as a top producer of energy savings. Kaila managed the over 2,000 project implemented for clients in the New York City Metropolitan Area. Kaila has helped grow the company into one of the most influential energy efficient advocates in NYC through her strategic partnerships with various utility and state programs. Kaila is a certified energy (CEM) through the Association of Energy Engineers (AEE) Her goal is to foster education on energy related issues incentive program participation in order to reduce fossil fuel dependence and have a significant impact on future generations. Mr. Flynn is the Practice Team Leader for Phillips Lytle’s Energy, Environment, Marcellus Shale, and Nanotechnology Practice Teams. With respect to environmental law, Mr. Flynn concentrates on brownfield redevelopment, regulatory compliance and remediation of complex contaminated sediment sites. He was involved in the first successful conversion of a former industrial brownfield into a modern manufacturing facility in New York State. In addition, Mr. Flynn advises clients on the development and regulation of energy projects before state and federal authorities. He also advises clients on the development and siting of renewable energy projects and licensing of hydropower projects, and Marcellus formation natural gas opportunities. Phillips Lytle LLP and Mr. Flynn have been recognized by Chambers USA for excellence in environmental law. Jan Fox, will serve as the 2015 WGES Celebrity Anchor Host of Ceremonies. Ms. Fox is the recipient of 4 Emmys. Although today she is an author and global speaker, while at WUSA TV9 in Washington DC she earned 3 Emmys and another for a talk show she hosted on ABC in Boston. She came from a small Indiana town, however, she says that somehow she ended up on TV, interviewing many celebrities and US Presidents – a life she never could have imagined. TV and the speaking stage are a far cry from her first jobs – sweeping out her uncle’s old shoe repair. Her book GET YOURSELF on TV focus is on getting the producer’s attention and exactly what to do to get yourself or our business to the studio. She holds a Masters’ Degree from Lesley University. Randall (Randy) is a Lead Program Engineer in the Energy Efficiency Group at the New York Power Authority (NYPA). He manages NYPA’s distributed generation program and energy efficiency work for New York City Department of Correction (DOC). He is the project manager for a 15 MW cogeneration plant at DOC’s Rikers Island correctional facility which is scheduled to be completed in 2014. Before joining NYPA, Randy held engineering positions in the fields of aerospace and industrial products. He holds a Bachelor of Industrial Engineering from the Pennsylvania State University. He is a New York State Licensed Professional Engineer, a Certified Energy Manager, and a Project Management Professional. He is a member of the Association of Energy Engineers and Project Management Institute. Mr. Henry works in the Clean Energy Technology Group at the New York Power Authority as an R&TD Engineer. He is a Certified Energy Manager and a graduate of the City College of New York with Master and Bachelor of Engineering Degrees in Electrical Engineering. In his day to day operations at the New York Power Authority, Mr. Henry manages projects in the areas of energy storage, distributed generation, renewable energy and electric transportation. Prior to joining the Power Authority, Mr. Henry worked as a Junior Designer with Consolidated Edison Company of New York where he performed engineering analysis in support for the addition of new services to the NYC electric distribution gridral Energy Management. Charles Barr is a 25 year employee of the GSA Public Buildings Service. Currently, Charles is working as a Procurement Analyst in the Acquisition Management Division Policy and Compliance. His duties include pre- and post award contract review. Prepares and conducts monthly acquisition policy briefings. Prepares in-house training to assure new policies are implemented, and assist Contracts Specialist maintain skills levels. Advise acquisition staff on federal, GSA and PBS regulation and practices. He began his career as a Buildings Management Trainee in the Boston Facility Support Center. As a trainee he served in the Building’s Manger’s Office in both Boston Field office as well as the Providence Rhode Island Field Office. Upon completion of the trainee program, he was assigned as Buildings Manager for the <?xml:namespace prefix = "st1" />Waltham Federal Center, Waltham Mass. He handled most of the field office major programs, such as mechanical maintenance, elevator maintenance janitorial, lease administration, reimbursable work authorization, and Small Purchases. His responsibilities covered Federal Buildings in Bridgeport, New Haven, Waterbury as well as Hartford. During this period, he earned a Real Property Administrators designation for the Buildings Owner’s and Manager’s Association. A member of the Senior Executive Service, is the Deputy Assistant Secretary of the Air Force for Energy, Office of the Assistant Secretary of the Air Force for Installations, Environment and Logistics, Washington, D.C. Dr. Geiss is responsible for providing oversight and direction for all matters pertaining to the formulation, review, and execution of plans, policies, programs, and budgets for the effective and efficient use of energy to support the global Air Force mission. Wes Kennedy is an application engineer for the Hybrid Energy Solutions group at SMA America, the U.S.-based subsidiary of solar inverter leader SMA Solar Technology AG, headquartered in Germany. In this role, his project scope ranges from residential PV with battery back-up to MW-scale stand-alone microgrids, primarily in North America and the Caribbean. This includes design and installation work on the 53 kW solar PV array at the Zanmi Beni Home for Children, a safe haven for children in Haiti, built after the 2010 earthquake destroyed the hospital that housed them. Kennedy, a Colorado resident, has nearly 20 years of experience in the solar industry. He began his career in 1996, when virtually all projects were built around batteries, with pioneering solar companies Jade Mountain and Real Goods. Kennedy went on to establish Colorado EPC firm Namaste Solar, manage engineering staff for Gro Solar, and provide engineering services for Abound Solar. His skill set includes engineering, design, training, education, installation, service, O&M, software modeling, sales, marketing and management. Eleni Reed serves as Chief Greening Officer at the U.S. General Services Administration’s Public Buildings Service (PBS).Eleni works with PBS business lines and regions to integrate sustainability practices in all aspects of real estate operations to increase the environmental performance of GSA’s portfolio in support of the agency’s sustainability plan. She also leads the agency’s Green Proving Ground (GPG), a program that utilizes GSA’s real estate portfolio to test and evaluate innovative building technologies and practices. The GPG program aims to drive innovation in environmental performance in federal buildings and help lead market transformation through deployment of new technologies. Prior to coming to GSA, Eleni was Director of Sustainability Strategies with Cushman and Wakefield. Her past public service includes working with the City of New York’s Mayor’s Office of Operations. Kenneth Adams has served as President & CEO of Empire State Development and Commissioner of the New York State Department of Economic Development since February 2011. Empire State Development, or “ESD”, is the economic development agency of New York State. Commissioner Adams and his colleagues manage a broad range of programs, incentives and services designed to increase private sector investment and job creation in New York. The organization has a staff of over 400 people located in 12 offices across the State. Economic Development and Community Outreach, Energy $mart Communities Program, EDGE Program, Manager of Buffalo Regional Office. McFarlane has more than 35 years of experience in communications consulting, including data center power and cooling, cable design, audio, video, telephony, computer communications, and acoustics. He majored in physics and engineering at Colorado State University, subsequently serving as Research Engineer in the Department of Hearing and Speech Science and lecturing on Psychoacoustics and Bio-acoustic Instrumentation at the graduate level. He has also taught telecommunications as a member of the adjunct faculty at NYU. Inspirational speaker and author Jeremy Kingsley is one of the most sought after speakers in the country. Since 1995 he has spoken to over 500,000 people at live events around the world. He has given over 2000 keynote speeches and his messages have reached millions through radio, television, and the Internet. He is a master storyteller and connects with audiences through the perfect blend of humor, inspiration, and relevant principles to help each individual. He believes that inspired people produce results and that people can change, grow, and fulfill their personal and professional dreams. Sheptor’s business career spans diverse industries including agriculture, food ingredients, pharmaceuticals, automotive parts, chemicals, plastics, mining and healthcare. He is a leader of change building enterprise capacity through strategy, business process effectiveness and execution. Sheptor has developed and successfully launched many consumer products. He is an advocate for managerial systems including Lean Six Sigma and integrates their benefits into his organizations. C.R. Herro is the President of the Board for the Energy and Environmental Building Alliance (EEBA), a national nan-profit focused on collaboration and education to manifest sustainable and responsible building principles. C.R. is also the Vice President of Environmental Affairs for Meritage Homes, the 7th largest home builder in the US. and leader in energy efficient building. C.R. earned a Bachelors of Science at Arizona State University in Physical and Life Science, a Masters in Environmental Science from Governors State, and a Doctorate in Environmental Engineering from Illinois Institute of Technology. Currently serves as the Director of International Investments at Empire State Development’s Strategic Business Division. Ed manages international investment operations out of Empire State Development’s Buffalo-based office. He is formerly the Director of International Trade Programs for the New York. Ed has a proven record of success in effectively encouraging foreign firms to invest in New York State to create jobs. His broad based experience includes business development, strategic marketing, leadership and community/government relations. Ed previously has testified before the Congressional advisory US-China Economic and Security Commission. In addition to his 14 years of government experience, Ed has over 20 years of international business experience. Mr. Kowalewski’s responsibilities have included technical/engineering assignments, international sales, business development, market entry strategies, strategic partnering, and contract management assignments. Mr. Kowalewski entered the international field by working in the private sector for large technology firm specializing in computer and communications systems design and systems engineering. Ed’s international business experience includes 8 years in the Middle East Markets, 5 years in Asian markets and 5 years in European Markets. With 10 Years of active and reserve military service. Ed has had various assignments worldwide which developed international skills by requiring interactions with international diplomatic, military & corporate clients. His military career included being a senior technical instructor at the USAF Interceptor Weapons School, (Air Force version of TOP GUN). Mr. Kowalewski has a Bachelors degree in Legal Studies and Masters in International Business. He also holds a diploma’s from George Washington University Federal Contracting Program. He is an adjunct faculty member at the State University of NY at Buffalo and Niagara University teaching international business and strategy courses. Mr. John P. Dienna, Jr.
Mr. DiEnna, the Executive Director & Founder of the Geothermal National & International Initiative (GEO-NII), is a business development and marketing professional with over forty years combined experience in the electric utility industry and the renewable energy industry. He is a nationally recognized authority on all aspects of renewable technology and specifically geothermal heat pumps (ghp), including marketing, creative financing, and the resulting positive economic and environmental impact that can be derived from the use of renewable technologies. His expertise is internationally acknowledged as a valued resource by not only the renewable & geothermal heat pump industry but also by government officials, both national and international, trade allies, and all major market segment associations in the promotion of renewable technologies. Dr. William Acker is a well known and highly regarded scientist and entrepreneur in the field of Energy. He currently serves as the first Executive Director of NY-BEST, the New York Battery and Energy Storage Consortium. He is a serial entrepreneur who has been instrumental in the founding of several energy-related businesses, including Optiwind Corporation, MTI MicroFuel Cells, and Taconic Energy. Dr. Acker previously served as Vice President of Technology at Plug Power, Inc. and held managerial and scientific positions at Texaco Fuel and Lubricants Technology. He serves on the advisory board of the Center for Future Energy Systems at RPI and Cornell University and recently served as a commissioner to the NY Ready Commission by Governor Cuomo. He received a Ph.D, in Applied Physics and Engineering from Yale University and a B.S. in Physics from Rensselaer Polytechnic University. Dr. Esther S. Takeuchi is a SUNY Distinguished Professor in the Departments of Materials Science and Engineering and Chemistry at Stony Brook University. She also has a joint appointment at Brookhaven National Laboratory as Chief Scientist in the Global and Regional Solutions Directorate. Prior to her academic appointment, she was employed at Greatbatch, Inc., where her achievements in lithium battery research, particularly on cells for implantable applications, led to a number of key technological developments, including the lithium/silver vanadium oxide (Li/SVO) battery, which powers the majority of implantable cardiac defibrillators (ICDs). A prolific inventor, she holds over 140 patents. Dr. Takeuchi received a bachelor’s degree from the University of Pennsylvania with a double major in chemistry and history and completed a Ph.D. in chemistry at the Ohio State University. William C. "Bill" Anderson serves as Strategic Development Executive for Eaton Corporation, based in Washington, DC. His duties encompass business and market development in the government sector, focused primarily on sustainability and energy. Most recently, he served as President and Chief Executive Officer of Anderson Global Innovation Group, Inc.; a firm that specialized in energy technology commercialization, environmental sustainability, defense, real estate asset optimization and business development, while also holding several senior advisory positions in organizations serving the defense, aerospace, sustainability and energy markets. He is a founding member/director of the ArchAngels of Washington, DC, a network of angel investors in the Mid Atlantic region. Previously, Anderson served as Assistant Secretary of the United States Air Force for Installations, Environment and Logistics, and the Air Force's Senior Energy Executive, based at the Pentagon in Washington, DC. As Assistant Secretary, he led an organization with responsibilities that included installations, military construction, base closure and realignment, environment, energy, safety and occupational health issues, and all logistical matters. Most notably, Anderson led Air Force efforts to test, certify and fly alternative aviation fuels, and to develop renewable electric generation facilities for U.S. military installations. For his efforts, Bill was presented the Decoration for Exceptional Civilian Service and the Presidential Award for Leadership in Federal Energy Management. At NY-BEST, John Cerveny facilitates connections between and among members, funding opportunities and the community at large. Cerveny’s expertise lies in understanding emerging technologies and the benefits they provide in sufficient detail to then attract investment, talent and resources through a broad array of partnerships. As an engineer, he has the ability to understand technologies that enable products in the cleantech space. As an experienced entrepreneur, he has led successful efforts to transform startups and their promising technologies into profitable businesses with successful products. Arlene White, is the former Executive Director of the Bi-national Alliance, a bi-national membership-based trade organization, and served as Business Development Officer, Southern Ontario for the Ministry of Tourism in Ontario Canada. For more than two decades she was with Scotiabank serving in a variety of Management positions in Executive Office and branches throughout Toronto and Southern Ontario. Maryann Stein is a proud veteran of the U.S. Army where she served as an Intelligence Analyst and received her M.S. in Global Business from Daemen College in Amherst NY. She is past president and board member of the Buffalo World Trade Association, former VP and board member of the Binational Alliance, assisted in the development of the 5 year strategic plan for the Buffalo CVB, and currently serves on the Advisory Board of the Women’s Business Center at Canisius College in Buffalo and as VP of the International Weather Experience Center @ Buffalo. Ms. Stein is the U.S. Partner of Cross-Border Business Experts, a consulting and training organization specializing in exports/imports between Canada and the U.S. as well as International trade into both countries. She and her partner, Arlene White, have more than 30 years experience in trade development and work closely with other trade professionals from across North America. Prior to starting this business, Ms. Stein was Director of International Programs at the Erie County Industrial Development Agency in Buffalo, NY. She was responsible for all aspects of global trade for businesses in Erie County, and assisted other counties with their international development needs. Programs she facilitated included Erie County’s Foreign Trade Zones, partnerships with the Export-Import Bank of the U.S., and operating an innovative Worldwide Credit Reporting Service. Director, Office of Motor Vehicle Management, GSA. Bill manages the largest fleet in existence today, that being the US Government. Mr. Toth oversees GSA’s Fleet and vehicle acquisition programs, which earn $2.6 billion annually in business volume. The GSA Fleet leasing program provides safe, reliable, low-cost leased vehicles and economical fleet management services to most Federal agencies. The program manages over 205,000 vehicles, providing non-tactical support to civilian and military customer agencies. GSA Fleet manages all aspects of a full service leasing program, including vehicle acquisition, maintenance and repair, and accident management. The GSA vehicle acquisition program acquires all non-tactical vehicles for Federal agencies, purchasing 55,000 vehicles annually. By consolidating all Federal agency requirements, this program is able to leverage the government’s buying power to achieve significant discounts of 30 percent or more below manufacturer’s invoice prices. Bill has worked for the Federal government for 22 years and he brings a diverse background of management and operational experience, serving in various positions across the former Federal Supply Service (FSS) and in the Federal Acquisition Service (FAS). Bill previously served as the Director of the Planning and Performance Division in the Office of Strategic Business Planning and Process Improvement. Prior to this, he was the Director of the Service Contract Division in the FSS Office of Commercial Acquisition; and Chief of the Program Operations Branch in the Office of Transportation and Property Management. Mr. Toth earned a bachelor’s degree in finance from Towson University in 1990, and a master’s degree in business administration in 2005 from Marymount University. Deputy Administrator Nadeau has focused significant attention on spearheading the development and administration of Every Day Counts (EDC) on behalf of Administrator Mendez since the Administrator launched his initiative in 2010. EDC is FHWA’s Innovation Initiative which is designed to address shortening project delivery time and accelerate the rapid deployment of innovative technology using a state based model. Partnering with FHWA teams across the nation on the implementation of EDC are our state DOT and local partners, as well as stakeholders in the private and non-profit transportation sectors. A native Washingtonian, Mayor Vincent Gray was sworn in as the sixth elected Mayor of the District of Columbia. In April of 2012, DC launched A Vision for a Sustainable D.C. The plan is an ambitious initiative to transform Washington D.C. into “the healthiest, greenest, most livable city” in the country by 2032. The plan was developed after seven months of community outreach and engagement. Mayor Gray stated "We will demonstrate how enhancing our natural and built environments, investing in a diverse clean economy, and reducing disparities among residents can create an educated, equitable and prosperous society." Director of the Department of Homeland Security's Office of Small and Disadvantaged Business Utilization (OSDBU) in May 2003. He is responsible for the overall implementation of the department's small business procurement program. Mr. Boshears was the Director of the Treasury Departments OSDBY since February 1999. He served in the same office as a procurement analyst since June 1995 and was responsible for providing guidance to the small business specialists located in the Treasury's twelve bureaus. Mr. Boshears brings a wealth of knowledge and experience in the procurement field, having served as a contracting officer for the Justice Department prior to his duties with the Treasury Department. Mr.Boshears is a well known instructor in the federal small business procurement arena. Lanny Bates is Assistant Laboratory Director for Facilities & Operations (F&O) at the U.S. Department of Energy’s Brookhaven National Laboratory. Named to that position in 2007, Mr. Bates oversees the directorate responsible for the operations, protection and modernization of the Laboratory’s physical plant and Infrastructure, which includes more than 350 buildings on an almost 5,300-acre campus. He manages some 540 employees and an annual budget of approximately $100 million. At BNL, Mr. Bates initially completed a significant reorganization of his directorate, to focus more strategically on modernization of the lab along with better integrated operations and protective services. More recently he has led the implementation of Integrated Facility Management which is a best practice “landlord/tenant” approach to managing the Laboratory’s facility portfolio. This has resulted in deployment of Directorate staff to geographic “complexes” to improve customer service, work control, and facility planning. Coming to Brookhaven Lab with 30 years of experience within the DOE laboratory system, Mr. Bates previously served as the Director of the Facilities Development Division at Oak Ridge National Laboratory (ORNL) in Tennessee, where he oversaw a $300-million, one-million-square-foot infrastructure modernization program. Bates also served as the Executive Vice President of University of Tennessee-Battelle Development Corporation, the not-for-profit established to facilitate private-sector investment in ORNL’s modernization. Mr. Bates holds a 1975 B.S. in nuclear engineering from Mississippi State University and completed graduate courses in nuclear engineering at the University of Tennessee. He has been honored with the 1998 American Academy of Environmental Engineers Superior Achievement Award, the 1990 and 1998 Lockheed Martin Energy Systems Management Achievement Award, and the 2005 and 2007 ORNL Small Business Advocate Award. Barbara Lang has been president and chief executive officer of the District of Columbia Chamber of Commerce since March 2002. She has complete responsibility for the operations and the strategic direction of the organization – the premier advocate of business in the District of Columbia. The Chamber is an approximate 1700+ member organization that advances the interests and prosperity of its members through advocacy, education, information and business development. Ms. Lang has transformed the organization into the most powerful and respected business group in the region through her aggressive leadership on key public policy business issues and by working diligently on education (Pre-K-12) and workforce development issues and projects, small business/entrepreneurial development initiatives like the Chamber’s signature Executive leadership Development Program (ELDP). Her goal is to have the Chamber pave the way to make the District of Columbia “a better place to work, play, live and of course, do business”. She has developed several initiatives that put the DC Chamber of Commerce on the leading edge of non-traditional programming and non-dues revenue generation. Under Ms. Lang’s leadership, the DC Chamber of Commerce has been ranked the #1 Chamber of Commerce for six consecutive years by the Washington Business Journal, and has truly distinguished itself as the “Voice of Business in the District of Columbia”. Mr. Kurt E.Yeager was named the 2003 Technology Policy Leader for Energy by Scientific American. He has authored more than 200 technical publications on energy and environmental topics. Yeager previously served as President of the Electric Power Research Institute (EPRI), during his time at EPRI he guided an industry-wide collaborative effort know as “The Electricity Technology Roadmap” and the “Electricity Sector Framework of the Future” which have since become the foundation of utility industry progress. Before joining EPRI, Yeager was director of energy research and development planning for the Environmental Protection Agency’s (EPA) Office of Research. Yeager served seven years, active duty in the U.S. Air Force and is a distinguished graduate of the Air Force Nuclear Research Officer’s Program. Yeager is a fellow of the American Society of Mechanical Engineers and its Industry Advisory Board, trustee of the Committee for Economic Development, and served on the Energy Research Advisory Board to the Secretary of Energy. Yeager currently serves as Vice Chairman Galvin Electricity Initiative. Michelle Desiderio leads the national green building certification program based on the ANSI-approved National Green Building Standard™ (ICC 700-2008). The program includes training and accreditation of Green Verifiers and certification of single family, multi-family, renovations, additions, and land development. As a related service to product manufacturers, the Green Approved Products program pre-approves certification points for products that meet green building practices. James Momoh received a BSEE degree (1975) from Howard University, a MSEE degree (1976) from Carnegie Mellon University, a MS degree (1980) in Systems Engineering from the University of Pennsylvania and a Ph.D. degree (1983) in Electrical Engineering from Howard University. He was Chair of the Electrical Engineering Department at Howard University and Director of the Center for Energy Systems and Control. In 1987, Momoh received a National Science Foundation (NSF) Presidential Young Investigator Award. He was Program Director of the Power program in the Electrical and Communications Systems (ECS) Division at NSF from 2001-2004. Momoh is a Fellow at the Institute of Electronics and Electrical Engineering (IEEE) and a Distinguished Fellow at the Nigerian Society of Engineers (NSE). He was inducted as a Fellow Member of Nigerian Academy of Engineering (NAE) in 2004. Ron Perry an Alaskan Native, is a nationally recognized expert in 8(a) and minority contracting to include; Mentor Protégé, JV, teaming, equity buyouts and national trends. With 25 years of federal business experience. Ron has years of experience navigating the ever continuing changes of government contracting to include; HUB Zone, Service Disabled Vet, and Women Owned businesses. Over the last 25 years Ron has help facilitate hundreds of meetings between both large and small businesses. You grow by enlarging your network and increasing your capabilities. Teya Technologies is a subsidiary of Salamatof Native Association located in Kenai Alaska. Teya Technologies was listed as the Alaska Native Corporation of the year 2006 by Northwest American Indian Development and National Center of American Indian Enterprise Development, Teya Technologies was named the 2012 Teaming Partner of the Year by American Express Open. Mr. Perry obtained his bachelors degree from Oregon State University and has attended 8(a) training through Loyola University and a pilot program between Howard University and the University of Alaska Anchorage. Power Factor Program Manager for Staco Energy Products Company. Staco Energy Products Company manufactures voltage control, VAR compensation, uninterruptible power supplies and engineered power quality solutions. For more than 70 years, customers worldwide have relied on Staco as their dependable source for standard and tailored solutions to a wide range of electrical power problems. Headquartered in Dayton, Ohio, Staco Energy Products is a wholly owned subsidiary of Component Corporation of America, located in Dallas, Texas. Zuccaro is responsible for working with customers and reps to identify opportunities for cost savings due to power factor penalties and other electric utility billing tariff rates. In addition, he works with utilities to identify those which have incentives available to curb energy demand. Rich Zuccaro holds a BEE from Manhattan College and an MBA from the Rutgers Graduate School of Business. He has extensive experience in the power factor/capacitor industry. Prior to Staco Energy he was with GE. Janice Bracey is the Director, for the Northeast and Caribbean’s Regional Office of Small Business Utilization. In this position, Ms. Bracey manages and oversees GSA’s Regional Small Business program; which includes making sure that Small Businesses participate in government contracting. During her 17 year tenure in this position, Ms. Bracey has counseled thousands of small business owners regarding possible contracting opportunities within GSA and the federal Government; as well as educating them on GSA procurement policies and methods. Ms. Bracey also conducted hundreds of presentations regarding doing business with GSA and the federal government. Ms. Bracey is also responsible for planning workshops, seminars and procurement conferences for small business participation. Ms. Bracey studied Business at New York City Technical College and Marymount Manhattan College in New York City, NY. Richard J. Sobelsohn is the Director of Lexis® Practice Advisor’s Real Estate Content. Richard brings more than 14 years of legal experience to LexisNexis® in the area of real estate. When he began his legal career, Richard worked as a solo practitioner while at the same time running an adult business school specializing in real estate, insurance and accounting. He then went in-house as general counsel to a real estate development firm. After working in-house, Richard worked at the law firms Stroock, Stroock & Lavan, LLP, Kaye Scholer LLP, and Moses & Singer LLP, where he advised developers, corporations, financial institutions and individuals concerning a variety of real estate transactions including sustainable development, acquisitions, dispositions, financing, condominium offerings and leasing. Richard has extensive experience in negotiating, drafting and closing various types of real estate and business transactions. Richard earned his J.D. from Brooklyn Law School and his A.B. from Colgate University. He is currently an adjunct professor of law at Brooklyn Law School and New York Law School where he teaches Sustainable Building Law and Commercial Leasing. Richard is a LEED Accredited Professional and is an authority on the subject of sustainable development, a topic on which he speaks and writes extensively. Richard is a member of the New York, New Jersey, Connecticut, District of Columbia and United States Supreme Court Bars. At the young age of 16, Lawrence Silverman was accepted into MIT where he majored in Physics and Computer Science/Cybernetics. Mr. Silverman currently serves as Chairman and Chief Scientist at Gridplex Networks, an advanced EnergySmart LED lighting company delivering energy conservation & sustainability solutions. He is a leading innovator in intelligent electronics & energy automation and holds numerous patents. Mr. Silverman conceived, developed, and manufactured technology which has made an impact worldwide. In 1972, he developed and patented THE FIRST ENERGY CONSERVATION AUTOMATION SYSTEM for digital lighting control. For the following three decades he continued to produce a series of advanced building automation, energy and lighting management and communications systems. He has also led co-development projects with Raytheon, EPRI, Oracle, IBM & others. Mr. Silverman has spent most of the last decade focusing his talents on developing internet-based lighting, energy and smart grid automation technology utilizing advanced M2M communications and adaptive artificial intelligence techniques for utilities and energy consumers, to deliver mass-deployable user-friendly software, applications and system to conserve energy and water and create sustainable structures and communities worldwide. Utilizing her many years of procurement experience, Jill Clough-Johnston has reached her current position of Small Business Liaison Officer (SBLO) at Brookhaven Science Associates/Brookhaven National Laboratory (BSA/BNL), where she manages the laboratories Small Business Program.BSA/BNL is one of ten national laboratories overseen and primarily funded by the Office of Science of the U.S. Department of Energy (DOE). BSA/BNL conducts research in the physical, biomedical, and environmental sciences, as well as in energy technologies and national security. In Jill’s capacity as SBLO, she is responsible for all activities relating to BSA/BNL's prime contract with the DOE, as it pertains to the procurement of supplies and/or services from all types of small businesses. In 2009, as a result of Jill’s efforts, BSA/BNL won the distinguished national Dwight D. Eisenhower Award for Excellence from the U. S. Small Business Administration. She received her B.S. in Business Administration from Adelphi University in Garden City, New York, in 1986. A professor emeritus at Rutgers University, where, for 10 years, he conducted the Spiritual Intelligence Action Research Project, focused on how to be spiritually intelligent in everyday life. The entire Green Movement has for him a spiritual basis that translates into action. He has been a journalist with The Washington Post and The New York Times. He is the author of 8 books including a new novel called The Melting Points. He blogs regularly for The Huffington Post, Psychology Today, and other popular blogging sites. Ms. McCluer started her career as a civil engineer for her home town of Acton, Massachusetts. She returned to school to study aerospace engineering, and upon graduation became an aerodynamics engineer at NASA Ames Research Center in California where she worked for 12 years in rotorcraft research and wind tunnel testing. She then joined the Air Force Civilian ranks at Edwards Air Force Base where she was the Flight Test Manager for Development Test and Evaluation of the CV-22 tilt rotor aircraft. In 2005, following Hurricane Katrina, Ms. McCluer volunteered for a tour of duty in New Orleans to assist FEMA with Disaster Relief. This experience inspired her to transition to the energy sector and she became the Senior Engineering Program Manager at Clipper WindPower, Inc. in Santa Barbara, California. In 2008, Ms. McCluer returned to the Federal government by joining the Department of Energy (DOE) in the Office of Energy Efficiency and Renewable Energy in Washington DC. On February 1st, 2012, to leverage both her AF and DOE experience, she joined the Air Force Energy office (SAF/IEN). Ms. McCluer has an Associate’s Degree in Civil Engineering from Franklin Institute of Boston, a Bachelor’s degree in Aerospace Engineering from San Jose State University, and a Master’s Degree in Aerospace Engineering from the University of Maryland, College Park. Is both General Counsel and the Director of MBE Services for the New York & New Jersey Minority Supplier Development Council (“The Council”) focusing on procurement concerns of multi-ethnic business enterprises (MBEs), which range from start-ups to companies with revenues over $1billion. As a practicing attorney with over 18 years with extensive Environmental and global corporate compliance experience, Mr. Wells now focuses on Sustainability practices of both CSR teams and innovative diverse small businesses by assisting them in both obtaining and facilitating procurement opportunities to create supply chain transparency without risk for the Fortune 500. Frank Basile, Basso-contante, has sung in some of the most prestigious houses and stages in the world. As a member of the United States Air Force Singing Sergeants in Washington D.C. he was one of America’s musical ambassadors singing frequently at the White House and before foreign heads of State. He has sung with such opera companies as The Metropolitan Opera, Washington Opera, Baltimore Opera, Sarasota Opera, Nevada Opera, Utah Opera, Augsburg Opera and been a featured soloist with such distinguished orchestras as the National Symphony Orchestra, the New York Philharmonic, The Mormon Tabernacle Choir, and the Boston Pops. Mr Basile recently returned from Istanbul where he sang concerts showcasing areas from the opera “The Leonardo Bridge” scheduled to make its world premier with Mr Basile singing the title role. WGES DC is honored to have Mr. Basile peform the U.S. National Anthem on its stage. Is vice president of the NAHB Research Center, an engineering and consulting firm that is also a subsidiary of the National Association of Home Builders. As vice president, Mr. Kenney helps to bring the Research Center’s many assets – including its state-of-the-art laboratory and market research facility; its numerous third-party testing and certification credentials; and its depth of staff expertise – together to help accomplish the mission of improving the quality, affordability, and durability of housing. Mr. Kenney is the NAHB Research Center’s most senior engineer with over 25 years of service at the Research Center. His broad range of managerial and technical experience has allowed him to touch and influence virtually every technical capability within the company. His extensive experience with a wide range of engineering disciplines and housing product and system issues give him a depth of knowledge and a practical perspective that is unmatched in the home building research industry. He has lead research projects ranging from the integration of high-tech materials such as electrochromic window glazing and photovoltaic panels into housing, to research on more traditional housing systems and cutting-edge issues such as green building, moisture management, indoor air quality, renewable energy and energy conservation, wastewater treatment, low impact land development, and a variety of structural engineering projects. Ms. Dee Wallace has appeared in more than 85 films and achieved over 100 credits as an actor in film, television and theater. She is perhaps most known as the Star of Steven Spielberg’s Academy Award nominated movie “ET”. Ms. Wallace is a rarity in Hollywood, a young actress who immediately found success and is still in demand three decades later as an accomplished veteran in her craft. Ms. Wallace attended the University of Kansas and taught high school English while directing plays. She has also been featured in or contributed articles for many publications including People, US, Guideposts, Family, TV Guide, LA Times and the Washington Post. Ms. Wallace has authored three books, speaks world-wide, and is currently the host of two weekly international radio shows. Michael A. Nutter, the 98th mayor of Philadelphia, has set a course for America's sixth largest city aimed at growing the regional economy in a sustainable manner, dramatically improving public safety and investing in education and workforce development. With a pledge to make Philadelphia the greenest city in America, Mayor Nutter has launched an aggressive strategy, Greenworks Philadelphia that will reduce the city's carbon footprint and train Philadelphians for new green collar jobs, from weatherization to solar panel installation. Long committed to careful planning of development, Mayor Nutter has reoriented city government, giving primacy to planning as the city prepares for future development along the Delaware River, the Navy Yard and Philadelphia International Airport. He has reorganized the city's Commerce Department to improve its assistance to small businesses and to foster minority- and women-owned business. Former U.S. Department of Commerce Secretary Gary Locke has been appointed as U.S. ambassador to China, the first Chinese American to hold the post in American history. At the Department of Commerce, Locke was charged with helping implement President Obama's ambitious agenda to turn around the economy and put people back to work. In particular, Locke is the administration's point person for achieving the President's National Export Initiative, which seeks to double U.S. exports by 2015, in support of several million American jobs. Dr. Kevin T. Geiss, a member of the Senior Executive Service, is the Deputy Assistant Secretary of the Air Force for Energy, Office of the Assistant Secretary of the Air Force for Installations, Environment and Logistics, Washington, D.C. Dr. Geiss is responsible for providing oversight and direction for all matters pertaining to the formulation, review, and execution of plans, policies, programs, and budgets for the effective and efficient use of energy to support the global Air Force mission. Mr. Richard Kidd became the DASA (E&S) on October 25, 2010. This is his third assignment as a Senior Executive within the Federal Government. In this position he is responsible for overall program direction, establishment of policies, development and refinement of strategies, and oversight for implementation of all programs and initiatives related to Energy Security and Sustainability within the Army. As the Army's Senior Energy Executive, Mr. Kidd coordinates and integrates both installation (traditional as well as expeditionary) and operational energy programs and strategies. Dr. Winslow Sargeant is the sixth Chief Counsel for Advocacy of the U.S. Small Business Administration’s Office of Advocacy, appointed by the President August 19, 2010. The Office of Advocacy is an independent voice for small business within the federal government with a mission of encouraging policies that support small business start-up, growth, and development.As chief counsel, Dr. Sargeant directs Advocacy’s operations, which include conducting research on the U.S. small business sector, advocating for small businesses within the federal government’s agencies and rulemaking processes, reaching out to regional and state small business advocates and policymakers, and fostering public awareness of small business contributions and concerns. CAROL ANN BEDA, Director of Energy Policy in the Office of the Deputy Assistant Secretary of the Air Force for Energy (IEN). Ms. Carol Ann Beda is the Director of Energy Policy in the Office of the Deputy Assistant Secretary of the Air Force for Energy (IEN). She leads the development of the Air Force Energy Strategy, creating innovative Air Force energy policy, directives and guidance for integration and implementation across the Air Force – from operations to installations and within the corporate business process for the effective and efficient use of energy to support the global Air Force mission. Carol Eicher is business group vice president for Dow Building & Construction, a business group within Dow's Advanced Materials Division that includes the following businesses: Dow Building Solutions, Dow Solar and Construction Chemicals. Dow Building & Construction specializes in the development and production of materials and technologies enhancing energy efficient and sustainable building. Before joining Dow (in 2009), Eicher spent 10 years at Rohm and Haas where she held multiple vice president and director roles. Most recently, she was business director for the Performance Monomers unit which provides essential raw materials to the company's coatings, construction and adhesives markets. Carol Eicher has extensive chemical industry experience, having previously worked at companies such as Ashland Inc., and DuPont. Mike joined Dow in 1990 as an Engineering Technician in Michigan Operations. He has held roles in Purchasing, Sales, and Marketing in Midland and San Francisco. From 2000-2006, Mike was responsible for growing the California and Nevada markets for Dow Building Solutions as well as being instrumental in developing a commercial roof strategy for growing STYROFOAMTM extruded polystyrene foam insulation sales in the west. Mike also represented Dow as Vice President of Industry on the board for Construction Specification Institute in San Francisco. As the Director the Philadelphia U.S. Export Assistance Center, Tony Ceballos oversees programs in Pennsylvania and Delaware, which provide customized overseas services to evaluate global opportunities, identify and qualify potential business partners. Mr. Ceballos also establishes program partnerships with state and federal agencies and other public and private sector entities to create an efficient export assistance network for U.S. companies. Mr. Ceballos transferred from the West Los Angeles office, where he developed the services sector-a primary industry concentration in the LA area. Mr. Ceballos received his Master's of Arts in International Studies from the Claremont Graduate University. Mr. Ceballos also holds a Bachelor of Arts in Political Science with a Minor in International Relations from the University of California, Riverside. Dr. Chen is a professor of mechanical engineering at Temple University. He received his BSME degree from National Taiwan University in 1976 and his Ph.D. degree in mechanical engineering from Drexel University in 1985. He had three years of industrial working experience in piping system design and one year engineering experience in a US Naval Research Laboratory. His teaching interests are in the areas of Statics, Dynamics, Fluid Mechanics, Heat Transfer, and Technology Transformations. He has published more than 100 refereed articles in temperature measurement and control, film cooling, jet impingement, accelerated/controlled cooling, melt spinning, electronics cooling, cryoablation, wind energy, and heat pumps. In education, he has advised students winning national and international competitions. In 1996, Dr. Chen received the Distinguished Faculty Award from the College of Engineering at Temple University. He has been a member of ASME since 1986. His current research interests and wind turbines and geothermal heat pumps. Erika is VP of Business Development at ThinkEco, a NY based start-up developing smart plug-load technologies, as well as the Co-Founder and President of the Harvard Business School Green Business Alumni Association. She has 10+ years in business development and marketing for green companies and investors. Previously, Erika consulted for an environmentally focused private investor group as well as various online businesses, developing market opportunities, sourcing companies and managing partner relationships. She worked with the strategy and marketing consulting firm Green Order, where her clients included GE and Office Depot. Erika worked in Belize for the Toledo Institute for Development and Environment, including three years as the Director of Tourism Business and Development. She earned a BA in environmental studies from Vassar College, a MESc from the Yale School of Forestry and Environmental Studies, and an MBA from the Harvard Business School. David C. Dickson, District Director for the Philadelphia District Office of the Small Business Administration. District Director for the Philadelphia District Office of the Small Business Administration. As District Director, Dickson is responsible for the delivery and management of the Agency's financial and business development programs throughout the eastern 40 counties of Pennsylvania.For 4.5 years prior to his permanent appointment in January 2006, Dickson was the Plant Manager for Stanley LaBounty, in Two Harbors, Minnesota; a major part of The Stanley Works' Hydraulic Division. In that position he was responsible for the management and all operations for the manufacture and distribution of hydraulic excavator attachments (shears, universal processors, concrete pulverizers, and grapples) for the scrap, demolition, and general contractor markets. Stephen D. Eule is vice president for climate and technology at the U.S. Chamber of Commerce's Institute for 21st Century Energy.Previously, Eule was director of the Office of Climate Change Policy & Technology at the U.S. Department of Energy. His prior experience includes a decade working in various public policy positions. He was a subcommittee staff director on the House Science Committee and also served as legislative director for Rep. Nick Smith. In addition, Eule was an environmental analyst in the Washington, D.C., office of New Jersey Gov. Christine Todd Whitman. Earlier, he worked for eight years as an Orkand Corporation consultant to the Energy Information Administration and at the Heritage Foundation, where he was assistant editor of the book Free Market Energy. Timothy Haahs & Associates, Inc. (TimHaahs) understands the important role parking plays in development. A multi-disciplined engineering and architectural firm, TimHaahs specializes in planning - masterplanning for campuses, urban and high density areas, and transit related projects - and providing design services for parking and mixed-use buildings. Jason is focused on improving and promoting sustainability. His career consists of eleven years in project and client relationship management as well as business development in the fields of energy and emissions management and sustainable development. At Johnson Controls he provides subject matter expertise to public and private clients as well as manages sustainability initiatives including tracking and reducing energy and water consumption, reducing and reporting greenhouse gas emissions and addressing waste disposition. He assesses clients' needs, develops custom solutions and assists in change management. Xing Zhong Li (PhD(eq. ), Tsinghua University, Beijing, China, 1962; PhD, University of Wisconsin (Madison), 1983) is a professor in the department of Physics at the Tsinghua University. In addition, he serves as a member of the Fusion Research Advisory Committee of China, and the head of the Fusion Physics Laboratory at Tsinghua University. His current research interests are fusion physics and industrial plasma engineering. Dr. George H. Miley, Professor Emeritus Nuclear & Electrical Engineering University of Illinois, Fellow American Nuclear Society, Fellow Institute & Electrical Engineers, Senior NATO Fellow NSF, award winning published author of hundreds of articles in journals and books in the field. The subject of Cold Fusion technologies problems and possible solutions has been re-addressed in recent articles, at energy colloquiums and in recent segments on CNN and 60 Minutes. Terry Penney, Principal Laboratory Program Manage, Advanced Vehicle and Fuel Technologies. Terry Penney joined the National Renewable Energy Laboratory in 1979. Prior to joining NREL, he worked for Concentration, Heat and Momentum (CHAM) a consulting group headed by Prof. Brain Spalding based in London developing unique finite element computational codes for multiphase heat and mass transfer problems. He also worked Von Karmen Facility at the Arnold Engineering Development Center in middle Tennessee where he worked on the Space Shuttle program. At NREL he has worked on Ocean Energy, Buildings research, Optical and Thermal Fluid Science. More recently, he launched the Hybrid Vehicle program in 1992, which grew into a $300M Partnership for New Generation Vehicles (PNGV) between the government and GM, Ford and Daimler Chyrsler. Currently he is NREL's Laboratory Program Manager for Advanced Vehicle and Fuel Technologies responsible for both light and heavy-duty hybrid platforms. He has more than 50 technical publications to his credit, including energy-related articles in Scientific American and the Encyclopedia Britannica. Sarah Wu, Policy and Outreach Manager in the City of Philadelphia Mayor's Office of Sustainability. Prior to joining the Office of Sustainability, Sarah helped implement Opportunity NYC, an incentive program working to improve the health, employment, and education of New Yorkers in poverty. Sarah also served on New York University's Sustainability Task Force to help the University make green choices in its long-term planning and facilities management. Before moving to New York, Sarah researched national environmental policies at a non-partisan organization in Washington, DC. Sarah holds an undergraduate degree from Williams College and a Masters in Urban Planning from New York University. Most recently, Bell served as vice president of Birchmere Ventures, an early stage venture capital firm that focuses on investing in and developing startup companies in the medical, cleantech, and technoloogy sectors. Prior to that Bell was a senior director of technology and marketing at LSI, Agere Systems, and Lucent Technologies. She has also worked extensively on small business technology initiatives in the telecom and wireless sectors. In 2005, Bell cofounded a not-for-profit Nigerian-American organization in Pennsylvania that focuses on education, cultural exchange, and economic development. She has also operated a small business in the fashion and small transportation sector. Bell received her master's degree in electrical engineering from Florida A&M/Florida State University and her bachelor's degree in physics from University of Port Harcourt in Nigeria. Chuck is responsible for the ongoing development and management of the flagship performance environments brand Thermmax Scientific as well as the creation of the UGI Performance Solutions business. Leveraging expert resources from the UGI HVAC Enterprises organization as well as key engineering and project management resources from within the UGI organization, Chuck will be responsible for the growth of the site based sustainability effort within UGI. Joe Barron has over 30 years of experience growing and managing technology businesses from start-ups to multinational corporations and advising early stage technology companies at the executive level in the areas of funding strategy, business plan development and strategic alliances. Rami Mikhail, Solar Business Development Specialist, Siemens Industry, Inc.
Rami Mikhail joined Siemens to oversee the development of Photovoltaic (PV) projects and the Siemens power purchase agreement (PPA). Prior to joining Siemens, Mr. Mikhail served as Vice President of a Solar Integration Company that resulted in an IPO in 2007. Mr. Mikhail was responsible for sales, marketing, engineering and operations for the company across the country. Michael Choi works as a Korea trade specialist in the Office of Japan and Korea within the Market Access and Compliance unit of the International Trade Administration (ITA) of the U.S. Department of Commerce (DOC) since 2006. He focuses on identifying barriers U.S. companies face in the Korean market and working with his ITA and USG colleagues to reduce them and increase market access for American businesses and workers. Since his start in 2006, Michael has been a member of the U.S. delegation to the U.S.-Korea Free Trade Agreement (KORUS) negotiations, and he has traveled to Korea on numerous occasions to help address market access barriers. He has been an acting Commercial Attaché at the U.S. Embassy in Seoul in 2008 and 2010. He is also part of a team that frequently advises DOC senior leadership on KORUS and the U.S.-Korea commercial relationship. Michael's past experience includes working as a foreign relations advisor to a Korean lawmaker, a legislative analyst at the New Mexico Senate, and as part of the staff at JP Morgan. Ivan Bragin, Managing Director at LED Engineering Co. Ltd.
Mr. Bragin is working in the field of energy efficient technology and renewable energy sources as the Managing Director at LED Engineering Co. Ltd., where he is developing the Russian market for innovative energy efficient technology, especially LED based lighting solutions. He is also working with a couple of companies through a partnership that aims to provide new independent energy systems based on solar panels and wind turbines. Mr. Bragin completed his studies at the Saint Petersburg State Institute of Information Technology Mechanics and Optics with a specialization in Automatic Control Systems in 2006, at the Saint Petersburg State University of Economic and Finance with a specialization in Finance and Credit in 2009, and additionally at the Saint Petersburg State Academy of Economic and Management with a specialization in Management in 2011. Educational Coordinator and a Founding Executive Board Member of the China Partnership of Greater Philadelphia, Programming Director and Founding Advisor of the Penn International Sustainability Association John Heon, Ph.D, is the Educational Coordinator and a Founding Executive Board Member of the China Partnership of Greater Philadelphia, a nonprofit that promotes collaboration on public/private cleantech and sustainable building initiatives between Philadelphia and the People's Republic of China. He is also the Programming Director and Founding Advisor of the Penn International Sustainability Association, an interdisciplinary group at the University of Pennsylvania that helps students launch green careers and entrepreneurial ventures through an extensive network of academic, corporate, and government organizations. Timothy Kim, Senior Loan Officer and founding member of the Renewable Energy & Environmental Finance Division at US Export-Import Bank. Timothy Kim is a Senior Loan Officer and founding member of the Renewable Energy & Environmental Finance Division at US Export-Import Bank. In this capacity, he originates and structures credits across the broad spectrum of the industry including solar, wind, gasification and biomass. To date, Timothy has closed more than sixty international transactions, with an aggregate total of over $3 billion across the public and private sectors. Steven Chan is the Deputy Director of the Office of China and Mongolia (OCM). OCM is part of the Market Access and Compliance unit in the International Trade Administration at the U.S. Department of Commerce. OCM also covers Hong Kong and Macau. Before Mr. Chan joined OCM in February 2009, he served as a Foreign Service Officer for the U.S. Department of State with overseas assignments in China and Mexico, and a domestic assignment at the Office of Korean Affairs in Washington, DC. From 2006 to 2009, Mr. Chan worked for Deloitte Consulting and Booz Allen Hamilton. He received a Master of Arts in International Economics and China Studies from the Johns Hopkins University, School of Advanced International Studies, and a Bachelor of Arts in International Relations from Lewis & Clark College. Edward G. Rendell, Pennsylvania’s 45th Governor, began a second term of office on January 16, 2007, following a landslide re-election victory. As Governor, Rendell serves as chief executive of the nation’s 6th-most-populous state and oversees a $28.3 billion budget. Michael A. Nutter, the 98th mayor of Philadelphia, has set a course for America's sixth largest city aimed at growing the regional economy in a sustainable manner, dramatically improving public safety and investing in education and workforce development. Michelle Moore is the Obama Administration’s Federal Environmental Executive, and is responsible for promoting sustainability and environmental stewardship throughout the federal government’s operations. Housed within the White House Council on Environmental Quality, the Office stewards the implementation of President Obama’s Executive Order on Federal Sustainability (EO 13514) and the GreenGov initiative. Prior to joining CEQ, Michelle was Senior Vice President of Policy and Public Affairs at the U.S. Green Building Council, a non-profit organization that developed and oversees the LEED certification system. She holds a Master’s of Science in Foreign Service from Georgetown University and a BA from Emory University. Kevin Kampschroer is the Director of the Office of Federal High-Performance Green Buildings at the U.S. General Services Administration (GSA). This new office within GSA has consolidated and is coordinating Federal efforts in the broad realm of building sustainability, acceleration of industry capability and adoption of sustainable principles across all aspects of asset creation, operation, maintenance and disposal. In response to the 2005 and 2007 Energy Bills & Executive Order on Federal Leadership in Environmental, Energy and Economic Performance, he has created the framework for which GSA responds to the challenges of greenhouse gas emissions reductions and of the American Recovery and Reinvestment Act’s mandate to move GSA’s Federal building inventory toward high-performance green buildings. Office of the Assistant Secretary of the Army for Installations & Environment. Dr. Kevin Geiss is the Program Director for Energy Security in the Office of the Assistant Secretary of the Army for Installations and Environment. Dr. Geiss joined the office in 2008 and works on the development, coordination and implementation of the Army's energy security strategy. Prior to this position, he served as the Assistant Director for National Defense in the Office of Science and Technology Policy (OSTP) in the Executive Office of the President. During his 3 years at OSTP, he conducted policy and budget review of the Department of Defense science and technology efforts and led interagency S&T committees to support national policy development. As United States Secretary of Energy, Dr. Steven Chu is charged with helping implement President Obama's ambitious agenda to invest in clean energy, reduce our dependence on foreign oil, address the global climate crisis, and create millions of new jobs. Dr. Chu is a distinguished scientist and co-winner of the Nobel Prize for Physics (1997). He has devoted his recent scientific career to the search for new solutions to our energy challenges and stopping global climate change - a mission he continues with even greater urgency as Secretary of Energy. Marc LePage was appointed Special Advisor, Climate Change and Energy in September 2009. Prior to his appointment Marc was the Consul General at the Consulate General of Canada, San Francisco | Silicon Valley with responsibility for northern California, Nevada and Hawaii. Formerly with Genome Canada, Marc brings extensive experience in the pharmaceutical industry, biotechnology, and venture capital. Mr. LePage joined the Trade Commissioner Service of the Department of Industry, Trade and Commerce in 1980 and has served abroad in Stockholm, Havana and at San Diego, California. In 1994, Mr. LePage moved to the Medical Research Council of Canada (now the Canadian Institutes of Health Research) to serve as Director of Business Development. Upon its launch in July of 2000, he joined Genome Canada as Executive Vice-President of Corporate Development, the capacity in which he has served to date. He holds a degree in Political Science from the University of Moncton, New Brunswick. Dr. Greg Caplan is Director for Energy & Environment in Lockheed Martin Washington Operations, gathering policy-driven market intelligence to align and inform the pursuit of the business objectives of the corporation’s Energy & Environment division. In this capacity, he manages relationships with Federal agencies involved in clean energy policies and programs, as well as with relevant stakeholder associations, and supports product line business development efforts to shape and capture opportunities in the Federal energy market. Previously, he worked in business development and program operations for Lockheed Martin in the homeland security market, managing capture efforts and program start-up on Department of Defense and Department of Homeland Security programs. Before joining Lockheed Martin, he worked in government relations and strategic development for nonprofit organizations, domestically and internationally, and on the presidential campaign of General Wes Clark (ret.). Dr. Caplan earned his Ph.D. in European history and his Master of Arts in European Studies from Georgetown University. World-renowned recording artist has performed to sold out audiences across the country. He has also given performances to countless dignitaries including former US Presidents Gerald Ford, George H.W. Bush, and Bill Clinton, UN Secretary General Kofi Annan, Pope John Paul II, Luciano Pavarotti, to name a few. He performs to sold-out audiences across the country including New York's Lincoln Center. He has performed for a myriad of nationally televised events and at well known arenas including Camden Yards, Shea Stadium, Madison Square Garden, Fox borough Field, The US Open, The Belmont Park Raceway, and Giants Stadium. Michael's latest project is focused on the production of a patriotic album, providing financial support to organizations benefiting United States Disabled Veterans. John L. Banks, a native of Philadelphia, PA has over 29 years working for the Small Business Administration (SBA). John is currently serving as the Lead Business Development Specialist overseeing SBA’s Economic Development, Government Contracting, and Lending Programs for various counties throughout the Philadelphia District. Prior to this appointment, John has served as the head of the 8(a) Business Development Program. This program provides contractual, financial, management and technical assistance to firms that are owned, controlled and managed by socially and economically disadvantaged individuals. Keith Blakely is a life-long entrepreneur who has been involved in energy, environmental, and infrastructure technologies throughout his career. He is, at present, the CEO of NanoMech, LLC, an award-winning technology commercialization company focused on the development and manufacturing of patented and proprietary application-specific nanomaterials, nanoparticle-based coatings and coating deposition systems, and nano-enabled products. He also serves as the cofounder and Director of R3 Fusion – a company focused on disruptive water purification technology being exploited in frac water, biofuel synthesis, and desalination. John Costlow is the Director of Technical Services for Sustainable Energy Fund (SEF). Prior to joining SEF, Mr. Costlow has been employed as Vice President of Operations for Energy Control Companies, Marketing and Energy Conservation Manager for Florida Public Utilities, Technical Support Manager for Johnson Controls, and Nuclear Reactor Operator. Mr. Costlow is a Graduate student at NYIT, has a Bachelor of Science in Organizational Management from Palm Beach Atlantic University, is an honor graduate of Naval Nuclear Power School, and 1 of 38 Certified Carbon Reduction Managers in the North America. Mr. Costlow is also a member of Association of Energy Engineers, Association of Energy Service Professionals, and Alternative & Renewable Energy Development Institute. David C. Dickson, a native of Youngstown, Ohio, is serving as the District Director for the Philadelphia District Office of the Small Business Administration. As District Director, Dickson is responsible for the delivery and management of the Agency's financial and business development programs throughout the eastern 40 counties of Pennsylvania. In 1975, he graduated as an Industrial Engineer from Youngstown State University in Ohio, after which he served honorably for over 11 years as an officer in the United States Army. While in the Army, Dickson earned his Masters of Business Administration from Florida Institute of Technology and attended the Defense Systems Management College in Ft. Belvoir, Virginia. John F. Fleming, a native of Springfield, Pennsylvania, is serving as a Lead Business Development Specialist for the Philadelphia District Office of the U.S. Small Business Administration. As a Lead Business Development Specialist, Fleming is responsible for the delivery and management of the Agency’s financial and business development programs throughout 18 counties of Pennsylvania. Mr. Fleming started his SBA career in 1992, and has served in various positions including Chief Credit Officer, Marketing Specialist, and Public Information Officer. Mr. Forbes has fifteen years in climate change, corporate sustainability reporting, and sustainable development. His expertise developed in the public and private sector in the U.S., Europe, and Africa, includes developing, managing, financing, and implementing project and programmatic work. His domain knowledge includes global climate change (impacts, adaptation measures, stakeholder outreach, mitigation, GHG inventories, climate change and land use, biofuels), corporate sustainability reporting (CSR) and strategy, and environmental governance. Jennaphr Frederick joined the "Good Day" team in September, 2003. Prior to becoming a morning person, Jennaphr was a general assignment reporter for Fox 29. Before joining the FOX family in October 1999, she worked for two years as an investigative reporter for WKBW-TV, the ABC affiliate in Buffalo, NY. A diverse background has helped Jennaphr to develop a proficiency in newsgathering. Before working at WKBW-TV, she was part of the morning team for WTVR-TV in Richmond, VA, a CBS affiliate. She speaks Spanish fluently and takes pride in having worked as an anchor and investigative reporter for KGNS-TV in Laredo, TX, an NBC affiliate and bilingual station. It was there that she started her career and frequently reported stories in Spanish. As the field director for PennEnvironment, Adam helps to coordinate PennEnvironment's efforts to heighten public education about the state's most pressing environmental issues, increase civic participation, and garner media coverage to inform concerned Pennsylvanians. Before joining PennEnvironment in the fall of 2007, Adam worked as the energy and consumer associate for the New Jersey Public Interest Research Group (NJPIRG). During his tenure at NJPIRG he helped to pass one of the nation's strongest renewable energy standards, promote energy efficiency, and promote clean, safe energy production in New Jersey. In addition, Adam has run citizen outreach office in New Jersey and Georgia to mobilize citizens around environmental issues. Adam graduated from St. John's College- Annapolis in 2005 with a degree in liberal arts. JoAnn Garbin is the Program Director of Energy & Sustainability Information Services for Johnson Controls. She has 10 years experience in information technology development and deployment and sustainability business analysis and consulting. She serves as a Subject Matter Expert for organizations developing sustainability strategies that include creating inventories, mitigation plans, education and outreach programs, and internal and external reporting for domestic and foreign, voluntary and regulatory programs. Patricia is an avid traveler, and a self-appointed cheerleader for all “green” hotels. She is very enthusiastic about protecting our environment especially through simple, good practice methods. She is particularly interested in encouraging the greening of the hospitality industry by informing not only hoteliers, but also travel agents, meeting planners, tour guides, business and pleasure travelers and government agencies. Ms. Griffin is a native Texan, owns a farm in Central Texas where she has wild horses and gentle cows. She is a graduate of The University of Texas at Austin with a Business degree. Jennifer Hazelman is a business development specialist with the GSA Center for Facilities Maintenance and Hardware. She is the team leader for the Energy Management Services Strategic Team and has led the team in their efforts to build the energy management services offered through the schedules program into a more comprehensive energy management services solution. Mr. Kent L. Hibben serves as the US Department of Energy's (DOE) HQ Office of Small and Disadvantaged Business Utilization (OSDBU) subject matter expert and spokesperson on energy efficiency and renewable energy (EERE) issues. His accounts include the DOE EERE and Science offices, and the DOE SBIR/STTR program. He is also Team Leader of the OSDBU Business Opportunity Session activities, advocating for small companies seeking to do business with the US Department of Energy. In his previous (EERE) position he served as a contracting officer representative (COR) for several support service contracts for both the Research and Development (R&D), and the Business Administration sides of the Department of Energy's (DOE) Energy Efficiency and Renewable Energy (EERE) Office. These $25 million in contracts were for a range of business sizes and ownership structures, including small/8(a) firms and Mentor-Protege teaming arrangements. Dr. Parsaoran Hutapea is an Associate Professor of Mechanical Engineering and the Director of Composites Laboratory at Temple University, Philadelphia, Pennsylvania. He received his BS (1995), MSc (1997) and PhD (2000) all in Aerospace Engineering from North Carolina State University, Raleigh, North Carolina. He has authored and co-authored over sixty research articles, most of which have been published in international journals or presented at international conferences in the fields of mechanics of composite materials and structures, smart materials, and proton exchange membrane fuel cells. His primary research interest in energy is fuel cells and their applications for transportation. Gary Jenkins has been with the General Services Administration for 20 years. As a Business Development Specialist for the GSA Center for Facilities Maintenance and Hardware, his experience includes advertising and promoting the Center's 2 Multiple Award Schedules 51V & 03FAC, Develop Marketing Material for the Center, Attend Events/Shows and conferences, Train Federal Agencies, Assist Contractors in getting a GSA Contract and marketing their services and products, and Business Development for the Center. The GSA Center for Facilities Maintenance and Hardware (CFMH) provides federal agencies with a streamlined procurement tool to acquire all of the services necessary to maintain and manage a facility or marine vessels. David Kaiser has served as the Director of Enrollment Management for the Fox School of Business since July 2004. He is responsible for all recruitment and retention activities for the Undergraduate Programs at the Fox School. He also serves as the advisor for the Fox School College Council of Presidents, a cooperative council of the student professional organizations. As Vice President and Chief Operating Officer at The Boat Company – a company started by his father with the purpose of conserving and protecting the largest remaining temperate rain forest in the Northern Hemisphere – Hunter considers himself an honored guardian of this founding mission. His work there takes him from Alaska’s Tongass National Forest, carting eco-adventure travelers; to Capitol Hill, where he lobbies for the preservation of the forest and remaining pristine wildernesses found in Southeast Alaska. Jeremy Peang-Meth is partner of Blue Sun Renew, a firm specializing in the building and site integration of wind energy and other renewable energy systems. Blue Sun Renew has focused on vertical-axis wind turbines (VAWTs), managing projects in the US and abroad, including installations for the State Department, US Air Force, NC Museum of Science and United Nations. Current projects include the design and CFD studies for a roof-mounted VAWT installation in New York City, and assistance with the use of VAWT technology for a research study underway at California Institute of Technology. Mr. Peang-Meth's combined experience in architecture, commercial development and high-end construction has provided the expertise to incorporate clean energy technologies in more complex projects. Mr. Emile Monette currently serves as the Director, Program Analysis Division the Federal Acquisition Service at the United States General Services Administration (GSA). In this position, he provides leadership for the GSA’s initiatives to create and promote a more sustainable federal supply chain. Mr. Monette has broad experience in the field of federal procurement, in both the legislative and executive branches of the U.S. federal government, including active duty military service in Operation Iraqi Freedom, as a Senior Procurement Advisor to the Executive Office of the President, and as a Professional Staff Member with the House Oversight and Government Reform Committee. He is a graduate of The George Washington University Law School, in Washington D.C, and San Diego State University, in San Diego, CA. Natalia Olson-Urtecho is the founder and President/CEO of the Ecolibrium Group, a company dedicated to helping public and private entities become more profitable through environmentally friendly and socially responsible planning and strategies. She serves on the Wharton/UPENN Initiative for Global Environmental Leadership Faculty Advisory Committee, the Philadelphia's Urban Sustainability Forum Committee, the Delaware Valley Green Building Council Policy Committee, Mayor's International Task Force and is one of the founding members of the Philadelphia Green Economy Task Force where she serves as the Co-Chair of the Policy Committee. She is also the representative for a new program of the U.S. DOE, US-India-China Integrated Cities for Energy and Environment. Dino Ramos oversees implementation of such programs as the Pennsylvania Export Program, Developing International Opportunities for Industry Clusters, the International Design and Engineering Consortium, and the American Business Practices for International Students. Dino has over 25 years experience in international trade management. As Export Sales Manager for the Hunt Corporation, Dino was responsible for sales and marketing in over 50 countries. His long tenure at Hunt included managing all international sales, export sales forecasting, sales and operational planning, export administration, international marketing, and marketing services. Prior to Hunt, Dino spent five years working in Singapore as Far East Sales Manager for King Press Inc. and another five-year assignment in Vietnam and Thailand for the U.S. General Accounting Office. Dino holds a Bachelor of Science degree in Business Management from East Tennessee State University and attended George Washington Graduate School of Business Management. He is familiar with Greek and French and has some understanding of Vietnamese, Thai, Chinese, and Arabic. Cody A. Ray has served as President of Drexel Smart House since December 2008. He is responsible for leading renovation efforts to transform an abandoned, historic home into a living laboratory for student research, and for collaborating with faculty, staff, and industry to establish a sustainable design and technology incubator. He leads project teams in developing sustainable technologies that simultaneously enhance occupant well-being and decrease their environmental footprint. Mr. Ray is a sustainability researcher and a LEED AP. He is also a graduate student of electrical engineering at Drexel University, concentrating in intelligent systems and controls. David provides dynamic litigation, transaction, regulatory, and strategic counsel for complex commercial matters in state and federal jurisdictions. He focuses his practice in environmental matters, including development, permitting, compliance, recycling, and reporting, as well as real estate matters. David has also litigated a variety of insurance contribution and subrogation cases. Jerry, a Registered Professional Civil Engineer in the UL DQS Programs and Business Line Manager - Environmental including: ISO 14001; Occupational Health and Safety Assessment System (OHSAS 18001); Responsible Care (RC14001 and RCMS); and Leadership in Energy and Environmental Design (LEED) review team, a member of the American Water Works Association’s standards writing committee for the G100 – G300 Series, General Interest, Utility Management System Standard and the US TAG ISO/PC 242 for the emerging ISO 50001, Energy Management Standard. Jerry also audits ISO 9001 and the International Bottled Water Association standards. He has over 25 years of experience in environmental engineering and program management. Jerry joined UL in 1999 and has brought his knowledge of environmental management and compliance to our Assessment Team. Richard J. Sobelsohn Esq., Attorney earned his accreditation from the U.S. Green Building Council as a Leadership in Energy and Environmental Design Accredited Professional (LEED AP). As a LEED AP, Richard has in-depth knowledge of the LEED Green Building Rating System, the globally accepted rating and certification program for design, construction, operation, and maintenance of green buildings. He represents developers, corporations, financial institutions and individuals concerning a variety of commercial real estate transactions including sustainable development, acquisitions, dispositions, financing, condominium offerings and leasing. Richard is a Fellow in the Institute of Green Professionals, serves as a member of the National Legal Working Group of the U.S. Green Building Council, an adjunct professor of law at both Brooklyn Law School and New York Law School, and lectures extensively on the subject of sustainable development. Maribel Aber is a television presenter, host and spokesperson covering a wide range of areas including: financial markets, women's issues, and the environment. She began her career on Wall Street, where she became the first female Asian executive to rise to the level of officer at the NASDAQ OMX Group. At NASDAQ OMX Aber was a key member of the Green Committee that focused on bringing environmental issues to the forefront of the exchange and its listed companies. This Committee worked with leading environmentally focused consultants towards innovating the way public companies approach green initiatives to maximize environmental efficiencies and drive towards bottom-line benefits. World Green Energy Symposium Presenter Nikos Avlonas is one of the founders and Managing Director of the Centre for Sustainability & Excellence - CSE, a global Think Tank and Sustainable Development Strategic advisory Network, based in Athens ,Chicago and Brussels been active in more than 12 countries. Avlonas is a well known international speaker in topics related to Sustainable Development and CSR and has delivered speeches all over the world (in Chicago, Kolkata, Beijing, Istanbul, London, Paris, Cairo, Madrid, Barcelona, Brussels, Rome, Budapest, Lisbon, Frankfurt, Hague, Moscow, Tehran, Luxemburg, Warsaw, Athens, Nicosia, Singapore and Dubai). He has carried out numerous projects in leading organizations including Fortune Global 500 Companies like BP, Dell Computers, Mc Cain, TNT, DHL, Lafarge, Deutsche Post, HSBC, Βank of Cyprus, TECOM ,DIFC and many others including the European Investment Bank. In addition he is the advisor of Lloyds TSB Bank in Corporate Social Responsibility. Since 2000 he has served as adjunct professor at the American College Of Greece and lectured at a variety of Universities including the Kellogg School of Management (Chicago) and Sheffield Hallam University (U.K). He is frequently interviewed on Sustainability matters on international TV, including CNBC, CCTV (China), and others. Dan Birns is an advisor in DOE's Office of Energy Efficiency and Renewable Energy (EERE), where he co-manages EERE's portfolio of bilateral and multilateral initiatives. In addition, Dan provides recommendations to EERE leadership on new opportunities for international engagement. Previously, Dan served as an advisor to EERE's Deputy Assistant Secretary for Energy Efficiency. Dan is a former Presidential Management Fellow. He received a Master's degree in International Relations from the Johns Hopkins University, and a bachelor's degree from Wesleyan University. David Blumenfeld, is a real estate investor with 20+ years of experience in residential, office and retail properties. David was an initial partner in a real estate company that developed and managed over $500,000,000 of real property. David's sales and marketing abilities have earned him industry recognition for operating prowess including the Philadelphia best luxury high-rise apartment building award, and a marketing award for the fastest lease up of a new building. He has a wide range of permitting, financing, and construction experience including single-family developments, new construction, historic renovations using federal tax credits, and HUD 221(d)(4) projects in Pennsylvania, New Jersey, and Delaware totaling over 1,500 residential units. David is a graduate of Northwestern University and the University Of Miami School Of Law. David is a member of the Pennsylvania and New York Bar and holds Pennsylvania and New York Real Estate Brokerage Licenses. David was recently certified as a Solar Installer under Pennsylvania licensing requirements and is a member of the Mid-Atlantic Solar Energy Industries Association and the Philadelphia Sustainable Business Network. Dr. Michel Boufadel is Professor and Chair of the Department of Civil and Environmental Engineering at Temple University, Philadelphia, Pennsylvania, USA. He is a Professional Engineer (Environmental Engineering) in the Commonwealth of Pennsylvania (USA). He is also a Professional Hydrologist as accredited by the American Institute of Hydrology (USA). His area of expertise is Environmental Hydrology and Ecohydrology, where he develops methods to account for changes in the environment due to natural and anthropogenic stressors. He has been the lead researcher on various projects funded by the Oil Spill Research program within the United States Environmental Protection Agency (USEPA). He is currently investigating the lingering of the Exxon Valdez oil (1989) in the beaches of Prince William Sound, where he and his team conducted field studies on various beaches and are exploring remediation technologies for dealing with the 20-year old spill. He also conducted floodplain delineation studies for the Federal Emergency Management Agency (FEMA) using hydrologic and hydraulic models developed by the US Army Corps of Engineers and Geographic Information System (GIS). He also conducted vulnerability studies of watersheds in a project funded by the Commonwealth of Pennsylvania. He is the author of numerous articles in publications such as the Journal of Environmental Engineering, Environmental Geology, Journal of the American Water Resources Association, Journal of Contaminant Hydrology, and Water Resources Research. As Executive Vice President of Tishman Technologies Corporation, Bowman is responsible for the organization's operations and its project management and construction management assignments, as well as providing services to its clients in all aspects of Mission Critical Data Centers: strategic site location and evaluation, life-span assessment, total cost of ownership, sustainable design and construction, alternative energy implementation, and commissioning. He has served as a project manager on trading floor and data center installations in some of the world's most competitive markets, including New York, London, Tokyo, Frankfurt, Paris, and Shanghai. He has managed 50 trading floor and 100 data center installations for such companies as Morgan Stanley, Goldman Sachs, E-Speed, Cantor Fitzgerald, DLJ, Mitsubishi, and Charles Schwab. As an author, Bowman has written two books, his newest about energy options off the traditional grid and alternative power, entitled The Green Guide to Power, Thinking Outside the Grid. He has been quoted regularly in The Wall Street Journal, the New York Times, Crain's New York Business, Real Estate Weekly, USA Today, New York Daily News, and Real Estate Forum. Emmy award-winning journalist Rita Cosby currently is a Special Correspondent for CBS' highly rated syndicated primetime show, "Inside Edition," where she secures exclusive interviews with the most sought-after newsmakers and key political figures. She previously hosted primetime shows on MSNBC and Fox News, and has interviewed more than a dozen world leaders, including Yasser Arafat, Ariel Sharon, Pervez Musharraf, and Slobodan Milosevic who called her while he was imprisoned at the Hague. Cosby has received numerous awards and honors for her reporting, including the National Foundation for Women Legislators' Media Award for Excellence, the Association of Women in Communications Headliner Award, and also the Matrix Award and Jack Anderson Award, both for journalism distinction. A first-generation American and daughter of a Polish ex-POW father, in 2006 she was presented with the Ellis Island Medal of Honor. Brennan Downes manages GE's strategy and implementation of efficient solutions for the Department of Defense. An expert in the integration of energy efficiency-based solutions, he has led business development in a variety of industrial spaces, including power generation, cogeneration, energy recovery and gasification. Additionally, he has significant experience with operations groups in thermodynamics, fluids, and other mechanical or economic feasibility analyses. Downes is also the co-author of "Economic Growth and the Central Generation Paradigm," published by the International Association of Energy Economists in 2004. The paper highlights the last thirty years of decision-making by utilities and independent power producers. More recently, he authored, "Steel Appeal Potential of Energy Recycling and CHP in the US Steel Industry," published by Cogeneration and Onsite Power Production in 2006. The article discusses the economics of existing potential for CHP, recycled energy and third party involvement. Downes has a Master of Science degree in Mechanical Engineering with specific studies in combined heat and power (CHP) analysis from the University of Illinois at Chicago. He currently resides in Chicago, Illinois, with his wife, Liz. Alan Edwards is the program manager for the electronic business group solar program at the Federal Prison Industries (FPI). Mr. Edwards innovative approach in cutting edge federal financing has assisted many agencies in reaching renewable goals set forth by the current Energy Policy Act and Executive Orders. His focus is the installation of renewable energy projects both nationally and internationally. He is a subject matter expert for national energy policies, an awarded problem solver, and mentor for other agencies on energy and renewable energy projects. His efforts on a national level have been recognized with the following awards: 2008 Public Service Award shared by the Assistant Secretary of Energy, Andy Karsner, 2008 DOE Champion Award, 2007 Presidential Energy Award, 2007 GSA Sustainability Award, and 2006 DOE Energy/Water Management Award. He is an active member in the Department of Energy/Federal Energy Management Program (FEMP) Steering Committee, United Nations Framework Convention on Climate Change, World Energy Council, and US House of Representatives Congressional High Performance Building Caucus. He is currently working on his MBA from Edinburgh Business School, Heroit Watt University, Scotland. Adam Garber is the field organizer for PennEnvironment. Adam helps to coordinate PennEnvironment's efforts to heighten public education about the state's most pressing environmental issues, mobilize members, and garner media coverage to inform concerned Pennsylvanians. Before joining PennEnvironment in the fall of 2007, Adam worked as the energy and consumer associate for the New Jersey Public Interest Research Group (NJPIRG). During his tenure at NJPIRG he helped to pass one of the nation's strongest renewable energy standards, promote energy efficiency, and promote clean, safe energy production in New Jersey. In addition, Adam has run citizen outreach office in New Jersey and Georgia to mobilize citizens around environmental issues. Adam graduated from St. John's College- Annapolis in 2005 with a degree in liberal arts. Kevin T. Geiss, Ph.D. Office of the Assistant Secretary of the Army for Installations & Environment. Dr. Kevin Geiss is the Program Director for Energy Security in the Office of the Assistant Secretary of the Army for Installations and Environment. Dr. Geiss joined the office in 2008 and works on the development, coordination and implementation of the Army's energy security strategy. Prior to this position, he served as the Assistant Director for National Defense in the Office of Science and Technology Policy (OSTP) in the Executive Office of the President. During his 3 years at OSTP, he conducted policy and budget review of the Department of Defense science and technology efforts and led interagency S&T committees to support national policy development. Before joining OSTP, Dr. Geiss was a senior research scientist in the Air Force Research Laboratory at Wright-Patterson AFB, Ohio. Dr. Geiss earned both his M.S. and Ph.D. from Miami University of Ohio. Mr. Kent L. Hibben serves as the US Department of Energy's (DOE) HQ Office of Small and Disadvantaged Business Utilization (OSDBU) subject matter expert and spokesperson on energy efficiency and renewable energy (EERE) issues. His accounts include the DOE EERE and Science offices, and the DOE SBIR/STTR program. He is also Team Leader of the OSDBU Business Opportunity Session activities, advocating for small companies seeking to do business with the US Department of Energy. In his previous (EERE) position he served as a contracting officer representative (COR) for several support service contracts for both the Research and Development (R&D), and the Business Administration sides of the Department of Energy's (DOE) Energy Efficiency and Renewable Energy (EERE) Office. These $25 million in contracts were for a range of business sizes and ownership structures, including small/8(a) firms and Mentor-Protege teaming arrangements. Prior to his COR tenure, Mr. Hibben worked as a legal assistant, program analyst and special investigator for the DOE Office of Hearings and Appeals, resolving cases involving legal claims of businesses and educational organizations of various sizes. Launching his DOE tenure in 1991 as a budget analyst for EERE, Mr. Hibben ensured that R&D activities of DOE National Labs and their subcontractors stayed fully funded. He maintained work continuity throughout the fiscal years for the various renewable energy programs. Prior to his Federal career, Mr. Hibben was a systems analyst, researching legislation and conducting applied research projects at a small business defense contractor in Aberdeen Maryland. He was a licensed stockbroker in a Co-Op Program during his studies at the University of Maryland, including a year of study in Germany. He graduated in 1987 with Bachelor Degrees in Economics, French, German, and Linguistics. Gary Jenkins has been with the General Services Administration for 20 years. As a Business Development Specialist for the GSA Center for Facilities Maintenance and Hardware, his experience includes advertising and promoting the Center's 2 Multiple Award Schedules 51V & 03FAC, Develop Marketing Material for the Center, Attend Events/Shows and conferences, Train Federal Agencies, Assist Contractors in getting a GSA Contract and marketing their services and products, and Business Development for the Center. The GSA Center for Facilities Maintenance and Hardware (CFMH) provides federal agencies with a streamlined procurement tool to acquire all of the services necessary to maintain and manage a facility or marine vessels. The CFMH is GSA's home to Energy Management Support and Services, under GSA MAS Schedule 03FAC Facilities Maintenance and Management, provides agencies with expert advice in all areas of energy management improvement and support services, including training, metering, building commissioning, energy audits, resource efficiency management services, turnkey innovation in energy(Innovative approaches to renewable and/or sustainable energy, sustainability services, and energy management technology and services) and water management. David Kaiser has served as the Director of Enrollment Management for the Fox School of Business since July 2004. He is responsible for all recruitment and retention activities for the Undergraduate Programs at the Fox School. He also serves as the advisor for the Fox School College Council of Presidents, a cooperative council of the student professional organizations. David completed his undergraduate degree in communications in the summer of 1998 and began his career as an Admission Counselor at Temple University Ambler in September 1998. He joined the Fox School in January 2000 as Assistant Director of Enrollment Management and also served as Associate Director of Enrollment Management. He is currently enrolled in the Fox School's MBA program. He received the James McKeever Promising Professional Award from the Pennsylvania Association for College Admission Counseling in 2002. He was also recognized as the 2004-2005 Fox School Administrative Service Award winner. Kevin Kampschroer is the Acting Director, Office of Federal High-Performance Green Buildings, created by the Energy Independence & Security Act of 2007, in the US General Services Administration's Public Buildings Service. Mr. Kampschroer has been leading GSA's activities in response to the 2005 and 2007 Energy Bills & Executive Order on the Environment, Sustainability & Energy Conservation. He is creating a new Office within GSA intended to consolidate and coordinate Federal efforts in the broad realm of building sustainability, influence and accelerate industry capability and adoption of sustainable principles across all aspects of asset creation, operation, maintenance and disposal. He created the framework for GSA to respond to the challenges of the American Recovery and Reinvestment Act's mandate to move the GSA Federal building inventory toward high-performance green building. He has worked on developing new energy conservation legislation, in expanding the scope of sustainable design and training, as well as the creation of rigorous environmental management system. Recently, focusing on the relationships among the physical environment, individual and group behavior and organizational performance, Mr. Kampschroer developed a unique framework - of building + behavior + business - tested in real office conditions. Allen joined the GSA team in 2009 and is a retired military officer with over twenty five years of service as an enlisted member of the U.S. Air Force and as a Wing Plans Officer and Contracting Officer. Eleven years of his military career involved contracting assignments as a Contract Specialist, Contracting Officer and Flight Commander at various locations. His final military assignment was with Defense Contract Management Agency-Middle East as Chief of Contracting Policy. Allen achieved a B.S. degree from the University of Maryland, University College and an M.B.A. from the University of Phoenix. He is also a graduate of the U.S. Air Force's Air Command and Staff College. He has held multiple contracting warrants. Dr. Nezhad has more than 29 years experience in energy management. He has worked on energy projects in Armenia, China, Georgia, Ghana, India, Indonesia, Iran, Malaysia, Japan, Latvia, Philippines, Pakistan, Syria, Taiwan, Thailand, Ukraine, United Kingdom, and United States. The project sponsors included USAID, UNDP, and ADB. Dr. Nezhad has developed and managed energy research and evaluation programs, and has worked in close collaboration with local utilities, industry, and academic institutions, implementing DSM and ESCO training and development programs. As the project leader He was instrumental in the design and implementation of ADB-funded DSM and ESCO development programs in two provinces in China: Zhejiang and Guandong. In India, Dr. Nezhad designed, implemented, and evaluated USAID-funded energy efficiency projects for several electricity companies. Ph.D. Energy Management and Policy, University of Pennsylvania, Philadelphia, PA. 1979 Ph.D. Dissertation: Critical Choices for the United States and OPEC Member. A summary of dissertation was published in the Journal of Conflict Resolution. Vol. 25. No. 1:115-143. Commissioner Olson Urtecho was appointed by Mayor Michael Nutter to serve on the Philadelphia City Planning Commission and Zoning Code Commission on January 2008 and she serves as the Vice-chair of the Zoning Code Commission Natalia is the Director of Global Initiatives at H2L2, a Philadelphia based architecture, infrastructure and planning firm and has over 17 years of experience working with international, regional and local entities in the Philadelphia region and abroad in Latin America and Eastern Europe. She is also the President of the Ecolibrium Group a new social entrepreneurial venture created to drive fiscally responsible sustainability principles and initiatives into business and public policy. Before joining H2L2 and starting the Ecolibrium Group she was a transportation planner at the Delaware Valley Regional Planning Commission and previously before coming to Philadelphia she worked for the U.S State Department in Budapest, Hungary, on NATO accession, international policies, flood relief and evacuation missions, human rights and environmental issues. Anne Papageorge is the Vice President for Facilities and Real Estate Services at the University of Pennsylvania. Anne joined the University in October 2006 and has responsibility for Planning; Design and Construction; Facilities Operations, Maintenance, and Utilities; and Real Estate Operations and Development. She oversees a department of approximately 900 staff, $153M in operating expenses and a capital budget averaging approximately $250M per year, the Penn Connects campus development plan, and the Environmental Sustainability Advisory Committee responsible for developing a climate action plan for the university. Anne is a licensed landscape architect and was previously the Senior Vice President and Memorial Design Director for the Lower Manhattan Development Corp., managing the planning, design and construction of the nearly $1 billion project encompassing the World Trade Center Memorial, Memorial Museum, Visitor's Center and related facilities. Prior to joining the LMDC in 2004, she worked in design and construction for the City of New York, where she served as first deputy commissioner of the Department of Design and Construction, managing a staff of 1,200 and overseeing 750 projects valued at $4.4 billion. Anne holds a bachelor's degree in landscape architecture from the State University of New York College of Environmental Science and Forestry School of Landscape Architecture, where she currently serves on the Faculty Landscape Architecture Advisory Council, and an M.B.A. from the City University of New York Baruch College. She has been appointed to the Philadelphia Zoning Code Commission, the mayor's Sustainability Advisory Board, the University City Green Board as well as the Board of the Morris Arboretum of the University of Pennsylvania. Martin Weiland is Director of Subject Matter Expertise at GSA's Program Management Office for the American Recovery and Reinvestment Act (ARRA). Martin is accountable for assuring that the ARRA-funded projects actually deliver high performance green buildings. Previous to employment at GSA, Martin worked for the American Society of Heating, Refrigerating, and Air-conditioning Engineers (ASHRAE) as Manager of Government Outreach in Washington, DC, and Manager of Technical Services in Atlanta, GA. Martin has worked as a facilities director and construction project manager for Charlotte County, Florida, as energy manager for Georgetown University, and as a building mechanical/ plumbing/fire system designer for Leo A. Daly Co. He holds a B.S. in Mechanical Engineering and B.A. in Studio Art from Bucknell University, and is a registered professional engineer in Virginia. Kate Zaidan joined the Clean Air Council in October 2008. As the Green Ports Initiative Coordinator, she has worked with her CAC team to unite a diverse group of stakeholders to address environmental issues in air, land and water at Philadelphia ports. Of particular importance in the emerging green ports movement in Philadelphia are the emissions released from short-haul trucks taking cargo from the ports to the distribution centers, and much of Kate's work with the Council has been devoted to designing an effective emission reduction incentive program for this unique constituency. More recently, Ms. Zaidan has taken on the Council's work to construct a multi-use trail extending the Cobbs Creek bikeway to the Heinz Wildlife Refuge through to Governor Prinz Park. Prior to coming to the Clean Air Council, Ms. Zaidan served as the program coordinator for the Women's International League for Peace and Freedom, where she coordinated two campaigns: Save the Water, and Building Peace on Justice in the Middle East. Kate is a graduate of Antioch College in Yellow Springs, Ohio, and resides in Philadelphia, PA.
Greg Zilberfarb is currently working with the Propane Education and Research Council (PERC) to provide commercialization and outreach support for new products utilizing propane powered engines. His alternative fuels background is extensive and diverse. In addition to his work with PERC he is working with the National Biodiesel Board on OEM outreach and education. He was Executive Director of National Clean Cities Inc., a National Account Manager of AFVs with Ford Motor Company and Director of Marketing for the Natural Gas Vehicle Coalition. Greg is currently President of theSales.NetWork, a provider of education and outreach services to the alternative fuel industry headquartered in Virginia.